Dave’s Solar Recorder (DSR) allows you to simultaneously view and record 2 separate exposures of the Sun using The Imaging Source cameras. 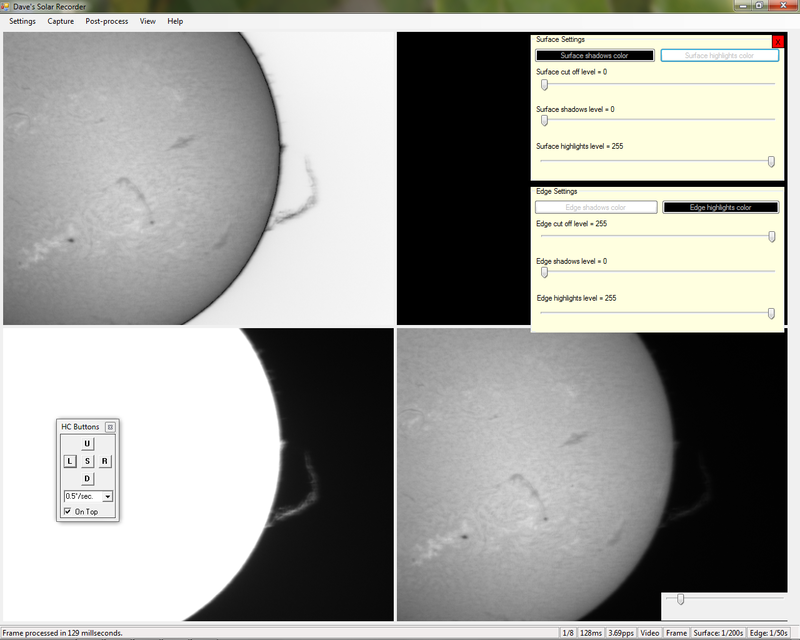 This allows you to record prominences and surface features at the same time. DSR can colorize and merge these exposures into a single video file. 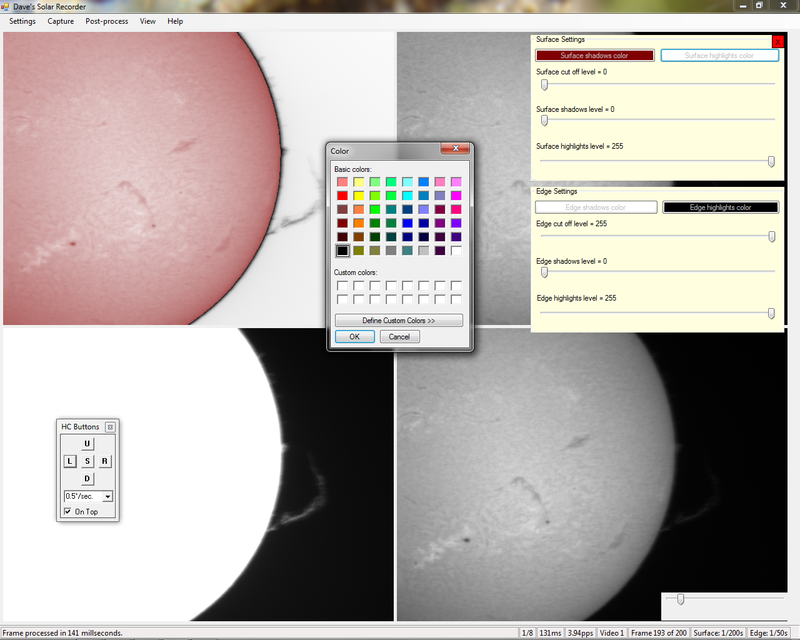 This lets you produce a yellow and orange solar disk with red prominences in a blue sky, for example, even using a monochrome camera. 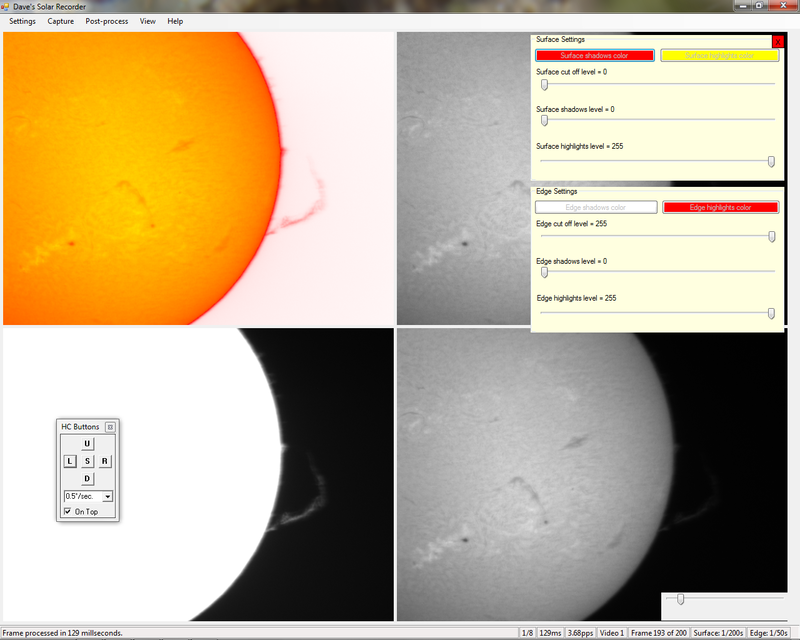 The software takes 2 simultaneous videos of the Sun’s surface and edge (where the prominences are). It does this by switching the camera exposure time between the short exposure time needed for the surface and the longer time needed for the edge. 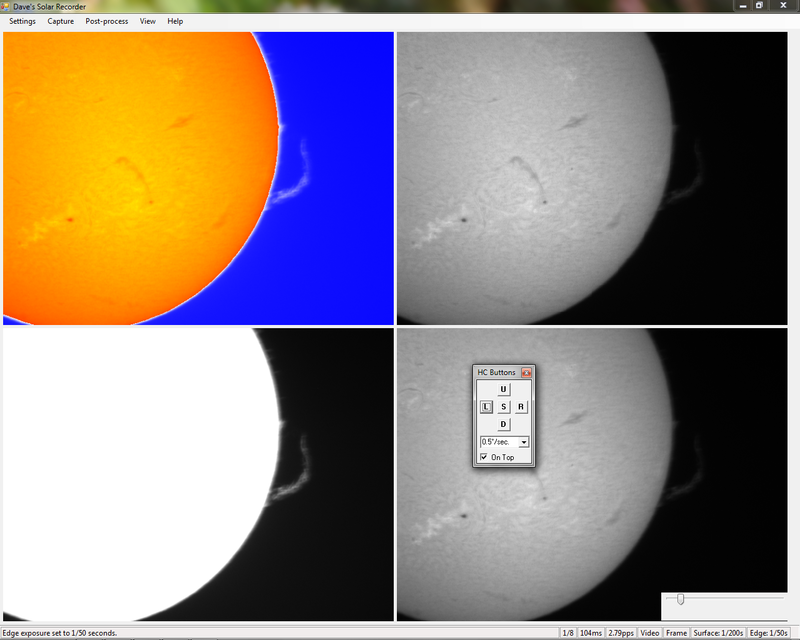 These raw videos are then colorized and combined to give full color videos of the Sun that show the surface as well as the prominences. The raw and combined videos can be processed using stacking software such as AviStack or Registax. Dave’s Solar Recorder is now available on the Support and Download page. ScreenShots taken with a mono DMK21 camera showing various colorizing schemes.